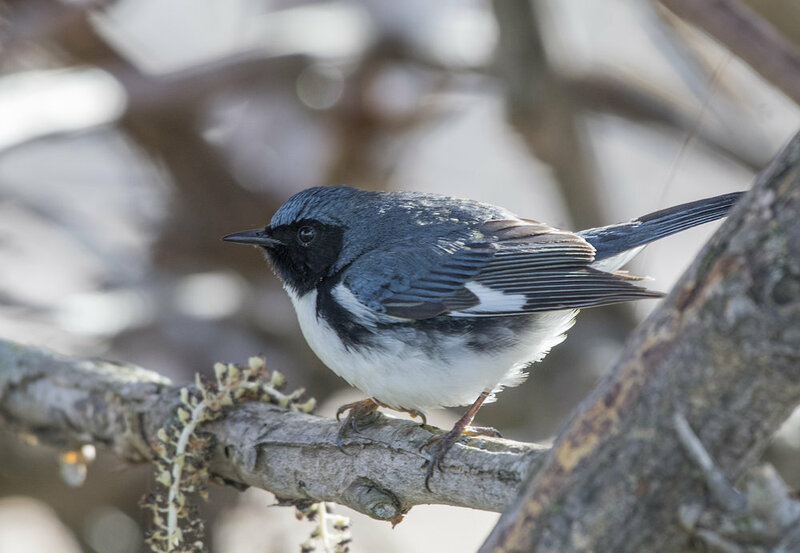 Each year the spring bird migration and birth of young occurs in Ontario. 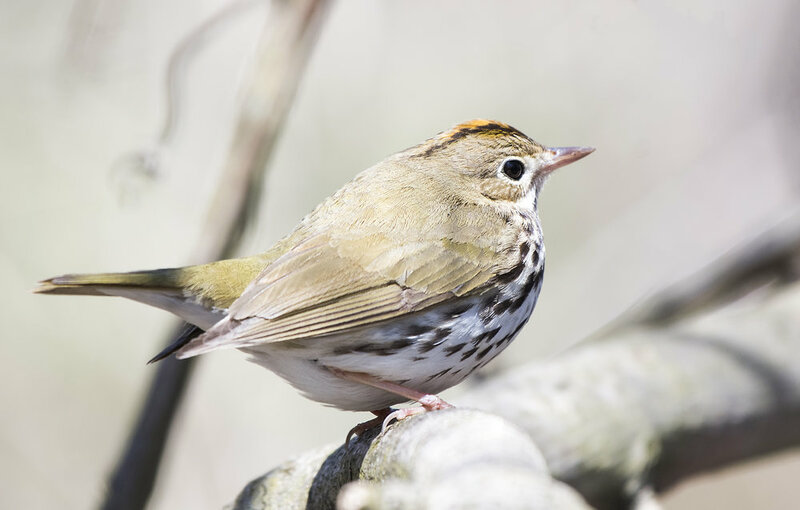 The hundreds of migrant species that call Ontario home, return up the various flyways, most crossing through Southern Ontario on their way back north. But it is not only the birds that return... 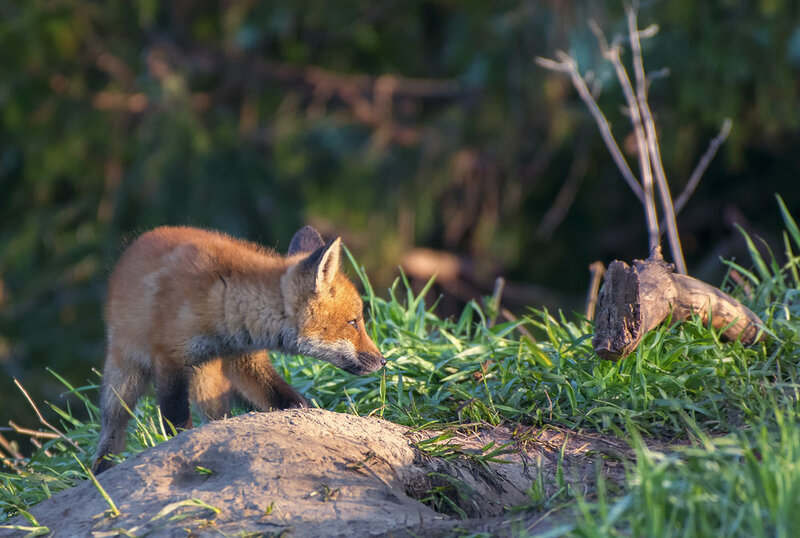 Various wildlife spring forth with young in the Spring time and we will take you on a route that will give you the best chances to capture as much of this wildlife as possible. Skill level: There is no skill level or knowledge of species required for this workshop. Gear requirement: Camera and telephoto lens, lens reach of 300mm minimum required. Longer lenses will allow images without cropping 500mm, 600mm, 800mm. Physical requirements: For the most part we will be on hard packed trail, park days will require 10km or 6.2 miles walking per day. If you have a large lens you must be able to carry it yourself. Includes: All accommodation for all 5 nights. Three nights in a hotel and two nights in our private cottage. All meals and beverages are included from dinner on day one to breakfast on last day. All transportation is included from airport pickup to airport drop off. Not Included: Anything not listed as included, items of personal nature, travel insurance, alcohol . Animals: Fox, Deer, Beaver, Moose, Coyote. Tanagers, Cardinals, And Their Allies: Western Tanager, Scarlet Tanager, Northern Cardinal, Blue Bunting, Indigo Bunting, Painted Bunting, Rose-Breasted Grosbeak, Dickcissel. Sparrows: Eastern Towhee, American Tree, Chipping, Le Conte's, Savannah, White crowned, White-Throated, Dark eyed Junco, Fox Sparrow, Lincoln's, Song. Finches and Old World Sparrows: Evening Grosbeak, Pine Grosbeak, Purple Finch, House Finch, Common Redpoll, American Goldfinch, Red Crossbill, White-winged Crossbill, House Sparrow, Pine Siskin. Swallows: Purple Matin, Tree Swallow, Bank Swallow, Barn Swallow. Chickadees and Their Allies: Black-Capped Chickadee, Boreal Chickadee, Tufted Titmouse. Nuthatches and Creepers: Red-Breasted Nuthatch, White-Breasted Nuthatch, Brown Creeper, Carolina Wren, House Wren, Winter Wren, Sedge Wren, Marsh Wren. Mimids: Gray Catbird, Sage Thrush, Brown Thrasher. Loons: Common Loon, Red-throated Loon. Pelecaniformes: American white Pelican, Double-crested Cormorant. Diurnal Raptors: Bald Eagle, Golden Eagle, Turkey Vulture, Sharp-shinned Hawk, Coopers Hawk, Osprey, Red-shouldered Hawk, Broad-winged Hawk, Red-tailed Hawk, Rough-legged Hawk, American Kestrel, Merlin, Peregrine Falcon. Upland Game Birds: Gray Partridge, Ring-necked Pheasant, Spruce Grouse, Ruffed Grouse, Wild Turkey. Gruiformes: Sandhill Crane, American Coot, Sora, Yellow Rail. Shorebirds: Semipalmated Plover, Killdeer, Greater Yellowlegs, Lesser Yellowlegs, Solitary Sandpiper, Spotted Sandpiper, Whimbrel, White-rumped Sandpiper, Least Sandpiper, American Woodcock. Owls: Great horned Owl, Barred Owl, Screech Owl red and grey morph. Woodpeckers: Red-headed, Red-belied, Downey, Hairy, Yellow-belied Sapsucker, Northern Flicker, Pileated. Tyrant Flycatchers: Eastern-Wood Pewee, Yellow-bellied Flycatcher, Eastern Phoebe, Great-Crested Flycatcher, Eastern Kingbird. Shrikes and Vireos: Northern Shrike, Loggerhead Shrike, Red-eyed Vireo, Warbling Vireo, White-eyed Vireo, Yellow-throated Vireo. Jays, Crows and Their Allies: Blue Jay, Grey Jay, American Crow, Common Raven. These are all species we have photographed over the years in spring migration. There are many species not listed above that are possible during our migration period. If you have a specific target in mind we will always do our best to find it for you during the migration season. Our locations for this workshop are Point Pelee National Park, Rondeau Provincial Park, Hillman Marsh, Long point, Burlington Bay and the Halliburton Highlands. 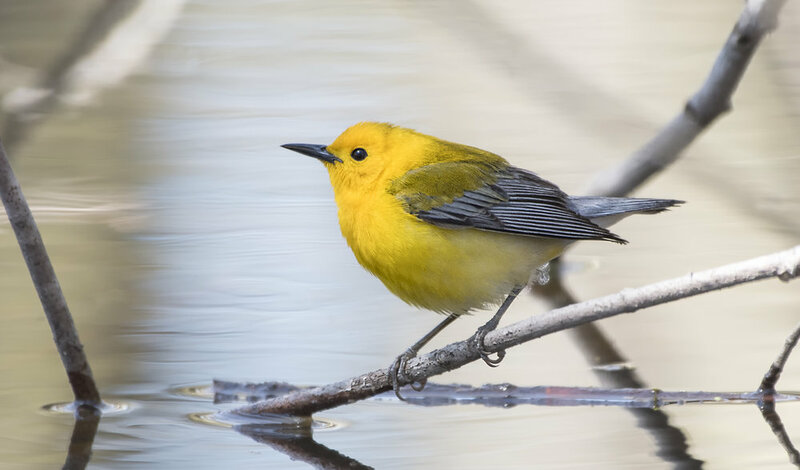 Point Pelee National Park is renowned as the best location in inland North America to observe the northward migration of songbirds. The guest registry in the park's Visitor Centre shows that birders come from far and wide to experience this special event. Almost half are from outside Canada the majority of these being from the United States. 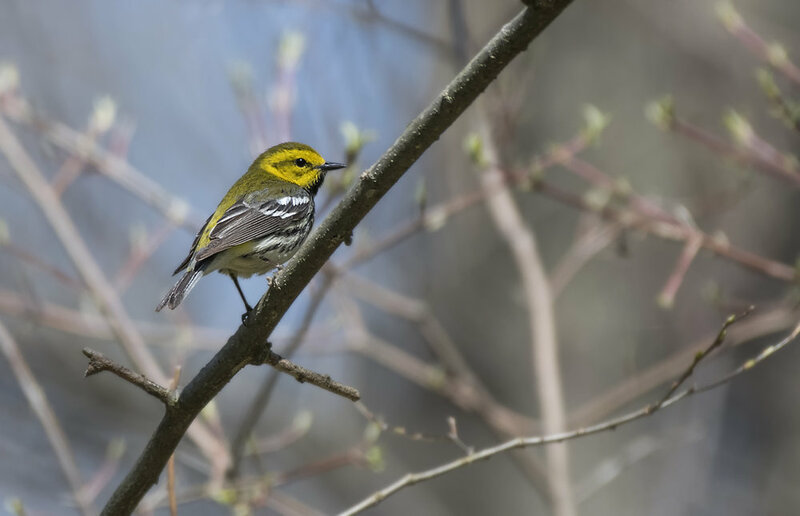 Although not originally planned as such, mid-May at Pelee has become a birding festival with thousands of enthusiasts celebrating the return of the spring birds. Probably the most impressive part of Pelee and Rondeau's spring migration is the diversity and huge numbers of northbound warblers that descend on the area. 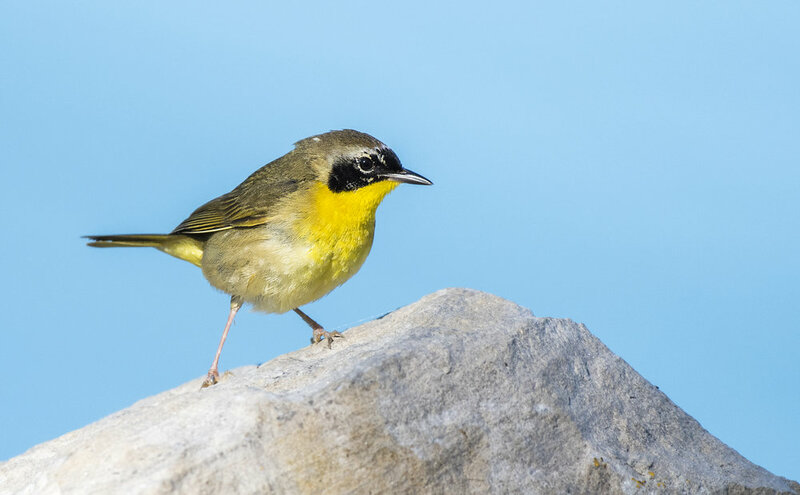 As such it has gained the reputation as "Warbler Capital of North America." This are is perfectly situated far enough north so as to receive both the warblers which fly north only through Texas or only through Florida. Yet, it is also far enough south to attract the "southerners" such as hooded, Kentucky and worm-eating warblers. With 5 kilometres of trails around this precious marshland habitat, Hillman Marsh is adjacent to Lake Erie and features walking trails, a nature centre, washrooms and viewing towers. A birding trail borders 87 acres of unique Shorebird Habitat where water levels are actively managed to create mudflats, providing outstanding viewing opportunities. These amenities are all accessed from the main entrance. Witnessing migration activity at the Shorebird Celebration in May is one of the highlights in the Place for LIfe. The diverse habitats of Hillman Marsh attract and support marsh, shore and field birds such as herons, egrets, terns, songbirds and ducks as well as a nesting pair of Bald Eagles. Over one hundred species of birds use Hillman as a migration stopover which draws sandpipers, ducks, warblers and frequently spotted annual rarities such as the Yellow-headed Blackbird, Willet, Marbled Godwit, Eurasian Wigeon, Glossy Ibis and Eastern Kingbird. Long Point is a birding paradise. The 'Long Point Birding Area' in Norfolk County, Ontario is one of Canada's premier birding locales. More than 400 bird species have been observed here. Explore a wide variety of habitats, including extensive public forests and wetlands. The west end of Lake Ontario is a perfect fall and spring stopover area for water birds including Loons, Tundra Swans and even the occasional Pelican. The presence of zebra mussels on the bottom of Lake Ontario provides an abundant supply of food for hundreds of thousands of Arctic ducks who winter over along our lakeshore. Trumpeter Swans, the largest waterfowl in North America had vanished from Ontario in 1886. With the help of volunteers they have been brought back to south-central Ontario and 200 swans flock to the shores of LaSalle Park in Burlington to winter over, arriving in November and returning in April to their nesting grounds in the north. In the Kawarthas, an area positioned one and a half hours north east of Toronto, both water and land are equally impressive. The shimmering lakes and rivers that offer breathtaking sun rises and sunsets are ribboned together by the Trent-Severn Waterway, which stretches from Lake Ontario to nearby Georgian Bay. This water route is well suited for a variety of wildlife. The Kawarthas boasts fish-rich waters and an abundance of water fowl. Our destination, Lake Salerno continues to be home to migratory Common Loons that keep coming back year after year. These beautiful birds offer the avid photographer plenty of opportunity to photograph them in their natural habitat. We will be going out on a boat multiple times a day in prime light situations to photograph the loon and other migrating birds on the lake. Here will be our final stop of the trip, its all about great photography and a time to relax and enjoy the northern back drop of Ontario.